For toddlers, toys are so much more than just fun play things. 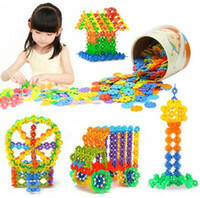 Creative, well-designed toys help nurture your child’s development and learning. There are a lot of great tips on choosing toys for toddlers from parents who know. Some of the most important things to look for are that they can be entertaining in multiple ways and that they encourage exploration. This year, there is a wonderful variety of new, great options that you and your child will love. With so many choices, we’re taking a look at some of the best toddler toys and what they have to offer. To really appeal to all your toddler’s senses, toys with plenty of lights, colors, textures, sounds, and music are great choices. Baby Einstein Take Along Tunes is a great example because it offers different music accompanied by a fun light show, as well as colorful beads on an easy-grip handle to keep your baby’s hands busy, too. It even features a softer musical setting to lull your baby to sleep at naptime. Beatbo the Robot also has an assortment of great sounds, lights, and even a funky dance to keep everyone entertained. It is sure to spur giggles of joy. While all the toys here will definitely give your toddler something to think about, some are specifically designed to engage your child in learning. The Vtech Rhyme and Discover Book teaches popular nursery rhymes and even asks questions on each page. This interactive book makes learning fun, with cute light-up animals and music. Another great find is the Fisher Price Laugh & Learn Smart Stages Chair, which features so much more than just a comfy toddler-sized place to sit. When they sit down, this interactive chair teaches your child about shapes, numbers, colors, and words with fun songs and phrases. The best part is that it has three levels of learning, so the experience expands as your child grows. 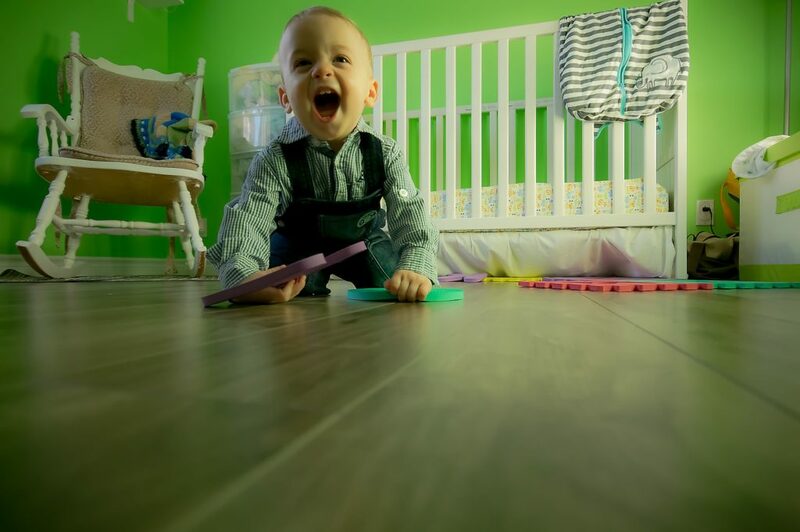 It can be more of a challenge to keep your toddler sitting still, but with these exciting activities, they can expend some energy while being completely engrossed in play time that actually hones their fine motor skills. Every child loves to splash in the water, making the Little Tykes Spiralin’ Seas Waterpark Play Table a winner for every toddler. Made for setup either indoors or out, the built in Ferris wheel and spiral tunnel will make for hours of fun. For the ultimate in entertainment on the move, the Vtech Sit-to-Stand Learning Walker will help your child as they master the art of standing and walking, while giving them plenty of fun things to play with like a removable toy piano. It features assorted buttons, a toy telephone, and dozens of different songs. All parents know it is of utmost importance to also consider safety when choosing toys, so consider familiarizing yourself with tips on how to inspect playthings for potential hazards. Always keep a watchful eye on your child, especially during playtime. Whatever piques your toddler’s interest, there is a myriad of fantastic toys on the market to make everyone happy. All of these are perfect for nurturing their natural curiosity and for keeping learning fun. Long gone are the days where writing a letter to say thank you or in times of celebration was the norm, but it’s time to bring that back! Have you ever had a pen pal? Do you have a box of old letters (not store bought cards) from friends and loved ones that you’ve gathered over the years? Unless you’re a senior citizen, you’ve probably never done such a thing. These days, more people are calling, texting, emailing, and using social media to stay connected. There seems to be no need to write a letter anymore, but that’s just not true! Writing a letter is still a classic, genuine way to show someone you’re thinking of them. It’s a timeless tradition that is arguably more thoughtful now than it was back when letters were a main form of communication. Here are all the ways you can bring letter writing back into your life and those you care about. Maybe you’re interested in working on your handwriting and putting your thoughts to pen and paper, but you just don’t know who to write a letter to. Many people talk themselves out of writing a letter because they’re in constant contact with the important people in their lives every day. You either live with your significant other or you’re in technology-based conversations with them 24/7. You Facetime your parents, grandparents, and siblings, or use some form of photo and video sharing to catch up. Even dating and educational conversations are online now. Think of the people who have significantly impacted you. Write a letter to impact them in return. This could be for a partner, an old friend, a great teacher, or even a mentor. 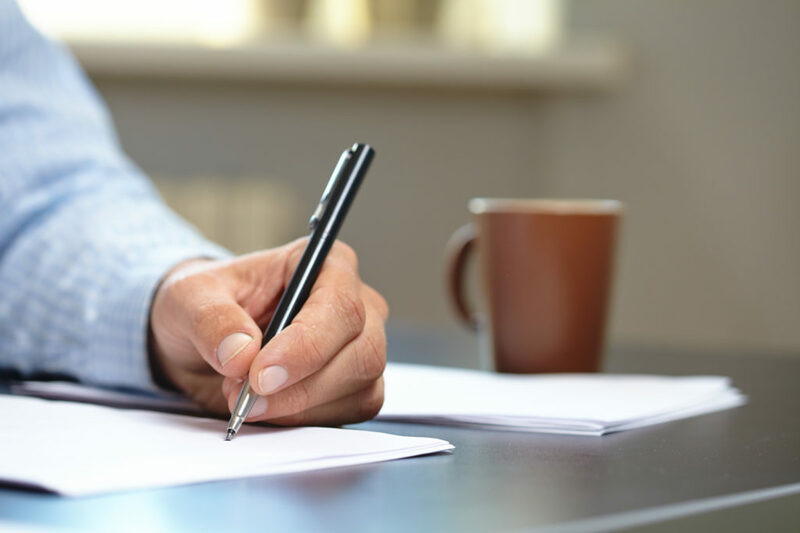 The following are a few reasons when writing a letter is the best way to get your thoughts across. Stop sending heart-eyed and kissing emojis and send someone you love a message with more depth. Write them a letter and mail it. Even if this person lives down the block or sleeps on the other side of your bed, give the letter the effort it deserves. Sit down and express all the things you wish you’d say more of. Or, turn writing a letter into sharing one of your favorite memories and recreating the story. Maybe even use this as an opportunity to talk about your dreams for the future together. Whatever you’re focusing on, the letter is sure to come across as straight from the heart. Use it to remind your partner, parent, or grandparent how much you truly care for them. If there’s someone special in your life you haven’t seen in a while, write the letter just to say you miss them, and to fill them in on what’s been going on in your life! You’ll be surprised just how nice of a surprise this can be – and who knows, you may have a newfound way to stay in touch with those you love who are far away. Sometimes, love isn’t romantic, but still something to celebrate. Think of your favorite college professor or the mentor who helped get your business off the ground. When was the last time you spoke? Even if you talk to this person on a regular basis, consider making the conversation a little more meaningful. Write a letter thanking them for something specific that has impacted you. This could be a lesson you learned ages ago that you recently had to apply or a recent experience that made you think of a certain memory together. There are times when you’ll find yourself writing a letter to both the people you speak to regularly, as well as those who you’ve grown a little distant from. Think, wedding or graduation invitations, or maybe even a baby announcement! Sure, you’re probably going to make a social media post and follow up with certain people over the phone. But, send a few letters to the guests you definitely want in attendance. Write letters to each of the bridesmaids you plan to have at your wedding, or to the teachers who helped make your degree possible. Such gestures make your invite even more welcoming. Whoever you decide to write a letter to, consider a few things before you get started. This isn’t a journal entry you just scribble down and put aside. Writing a letter takes patience and thoughtfulness. Make every word with care and try to make your thoughts flow together. The more you do this, the better the letter as a whole will turn out. Keep the following two things in mind as well. Speak from the heart, but know who you’re speaking to. There’s a big difference between writing a letter to your lover versus writing one to an old boss or your current mentor. Still, don’t be afraid to be a little personal. This is a person who knows you on a deeper level than most, whether on a professional or more intimate standpoint. Share your thoughts with them freely. Although you should encourage your thoughts to flow, you have to ensure they make sense. Pay close attention to your grammar and punctuation. Find ways to use different words, tenses, and sentence structures to make the letter more engaging. The other person is going to enjoy it no matter how good of a writer you consider yourself to be. But, it’s worth trying to write as best as you can. Just when you think the letter is ready to be folded and sent off, add a few final touches. Write your signature with a bold pen, a few lines down from where the message cuts off. Then, print your name below it and record the date if you haven’t already elsewhere in the letter. For an even more special touch, spray the letter with a scent. Lovers will appreciate your go-to perfume, wedding guests will think a floral scent is a nice touch – or something themed around your wedding like a warm, cozy smell for a fall wedding or an ocean smell for a beach wedding. Maybe skip this step for more professional letters, though. Finally, consider sending the letter with a small supplemental piece, like a photo or a postcard. This gets guests excited about an upcoming event and adds a little more meaning to sending a letter. To get the postcard just right, click here. Sometimes, you get so excited to share good news with someone that you Facetime them in the middle of the workday. Other times, you make a long, sappy post on Facebook for the world to see. But, there are moments when nothing gets a message just right like writing a letter does. Start making this more of a habit, and watch how your relationships blossom. Letters are great for those you grew up with, those you’ve grown a bit distant from, and everyone in between. They can be to wish a person well, tell them you’re thinking of them, or cheer them up as encouragement through a tough time. For more ways to offer cheer and joy, check out these five great ideas. It wasn’t long ago that the notion of being a working mother was considered a rather unusual one. Fortunately, our society has progressed considerably and there are now a variety of programs and initiatives, both in the public and private sectors, to encourage moms to go back to work after giving birth. Many jobs and businesses are now able to offer their employees flexible working arrangements, allowing moms to study, train, and work while still making time for their children. Online learning means that it is now possible for new moms to learn the skills necessary to work in a variety of specialized fields. 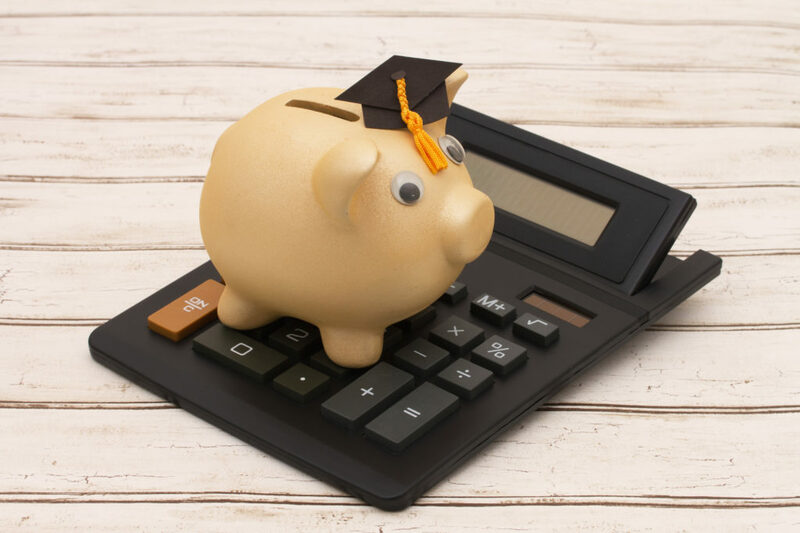 Not only can online courses earn you the qualifications you need to apply for roles in other organizations, they can also equip you with marketable skills so that you are able to make money independently. The following skilled trades will require you to do some degree of training beforehand. In some cases, this will take the form of self-tutelage, meaning that you will be teaching yourself. In other cases, you will need to enroll in a training course. Web design is an excellent trade for anyone to learn. In today’s world, there is no shortage of people looking for a website, for a variety of different reasons. Both individuals and businesses use websites to generate an income or to promote their products and services. There is always work available for a qualified web designer. This is one of those options that lends itself well to self-teaching. If you enjoy engineering and find yourself often curious as to how machines around you work, this could be a great career choice for you. HVAC stands for Heating Ventilation and Air-Conditioning. The role of an HVAC engineer is to carry out routine maintenance and repairs on these systems. This is an example of highly marketable skills that allow those who complete the training to either work for an employer or organization or to pursue the freelance route. If this sounds like a potential career path for you, you can read more about HVAC training here. While having a baby is no longer the career-killer that it once was for women, many women still elect to leave their current jobs after their maternity leave ends. No matter how passionate someone might be about their work, there are some jobs that leave little time for looking after children. Some women prioritize their presence in their child’s early stars over their career ambitions. However, you can always offer your services to other individuals who might be preparing to enter the field that you have just left. Whatever skills and knowledge you have can be of value to someone. Tutoring allows you to keep indulging your passion and also stops you from becoming rusty with your knowledge. There is no journey in life quite the same as motherhood. It is a challenge for sure, especially when coupled with the challenge of pursuing a new career path. However, for new moms who still want to work, there are now more potential jobs and careers on offer than ever before. Even the brightest children will need a little help to achieve the best grades at school. Parents must, therefore, find ways to harness their children’s talents and help them reach their potential. Learn how parents can help their children succeed at school. Children who feel tired and sluggish do not perform well in school. The food they eat can consequently affect how their brain and body performs. If you want your child to listen, engage, and learn, you need to ensure they regularly consume a healthy diet and enjoy plenty of exercise. Brain foods filled with omega-3 fatty acids are ideal, as the likes of salmon and walnuts can improve a child’s memory, which can support their education. Sleep is essential for a good education. If your child hasn’t experienced enough sleep, they will fail to listen, work hard, and engage with a subject. According to one recent US study, high school students who achieved A and B grades experienced 25 minutes more sleep each night in comparison to those who achieved C, D and F grades. You could support your child’s education by simply moving their bedtime forward. The school you choose will determine your child’s academic success. Only consider establishments that have built a reputation for helping their children exceed national expectations in every age group, such as Colchester High School. Thanks to passionate teachers and a safe environment, your children will leave school with fantastic qualifications that can help them secure their dream career. 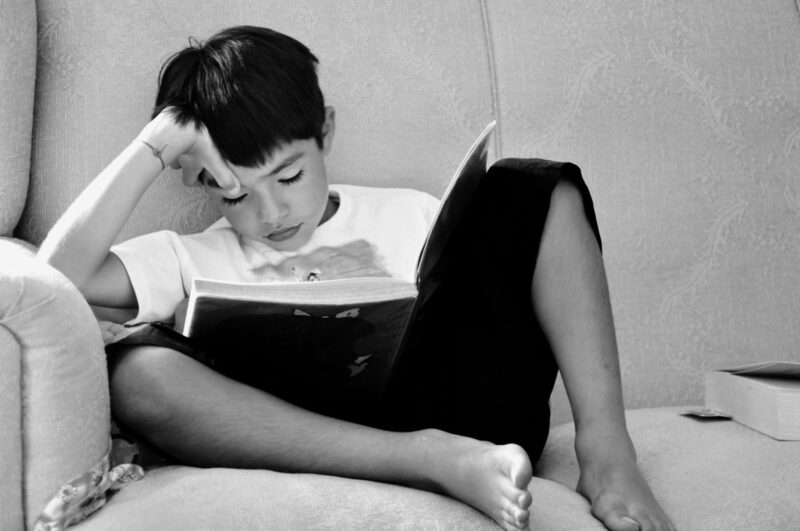 Recent research has found that kids who read for pleasure are more likely to progress in spelling, vocabulary, and math between 10 to 16 years of age. In fact, it’s reportedly more important than either wealth or social class for education. So, aim to make your child fall in love with reading by setting some time aside to read a good book with your son or daughter. Children must learn there are consequences for their actions. For instance, many children will want to avoid doing their homework after school. Rather than forcing them to do it, allow your daughter or son to experience the repercussions at school. While you might not like the thought of them getting into trouble with their teacher, it will be a steep learning curve for your child, as they’ll realize the importance of hard work. As a result, they will be more likely to complete their homework on time in the future. If you attempt to shield your son or daughter from their mistakes, they’ll turn into a dependent learner, so they will be less likely to use their initiative. Research has found that a dirty, cluttered, and noisy home can lead to poor health in children, which can affect their education. Parents must, therefore, provide an organized, structured home that helps to clear a child’s mind and easily manage their tasks. So, ensure you provide them with a clean, clutter-free home, regular mealtimes, and a daily schedule for the family to follow.